How easy is it to test your smoke alarm? As easy as getting on a small ladder and pushing a button, right? Now imagine you are much older, or living with a disability. Still easy? This is a challenge that Lifewise and Avondale’s Fire And Emergency Station have taken on. 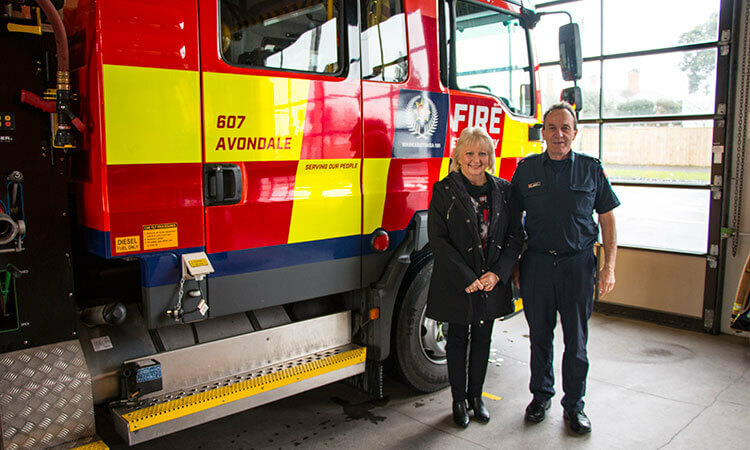 Since March, over 20 homes in Avondale have been fitted with free smoke alarms, thanks to the initiative of Lifewise Case Manager, Glenis Drew, and Fire And Emergency officers Gary Lane and David Wood (in picture). Most of us may know that a free Home Fire Safety inspection is available to us. However, for older persons or those with a disability, especially if they’re living alone, an inspection can be difficult to arrange. When Glenis or the Lifewise Homecare team find that a home has potential fire hazards or is missing a smoke alarm, she contacts Fire and Emergency New Zealand who then go over to install a smoke alarm. Fire And Emergency New Zealand will generally provide free smoke alarms for the elderly, disabled, or anyone who cannot afford a smoke alarm themselves. They do not supply and fit to rentals as this is the responsibility of the landlord. “Our elderly are one of our high-risk categories so we are only too happy to help out with advice,” says Gary Lane, Senior Station Officer, adding that he appreciates the referrals Lifewise provides. The most common fire incidents among the elderly are around cooking (pots left unattended on stoves) and fires which start from faulty electric blankets. “Always a good idea to get them checked regularly,” says Senior Station Officer David Wood. Fire and Emergency New Zealand recommend a smoke alarm in each bedroom that is in use, Building regulations state there should be 1 within 3 meters of every bedroom.